Between the years that Martin Luther joined the Augustinian order at Erfurt and became embroiled in the Indulgence Controversy at Wittenberg, the prior general of his order was the famed humanist Giles of Viterbo. Though Luther likely never met him, the prior general embodied the ideals of Renaissance humanism and monastic reform that would make the Protestant Reformation such an immensely popular movement in its earliest days. Giles was a prominent intellectual known for his patronage of Renaissance thought and letters and for being one of the foremost linguists of his time, with competence in languages ranging from Latin to Hebrew and Arabic. He was also a committed ecclesiastic, notable for his use of humanist rhetoric in preaching and public oratory, as well as his efforts reforming the Augustinian order and the church in general at the Fifth Lateran Council (1512–17). Giles of Viterbo was born Giles Antonini in 1469, but is most commonly known by his town of birth, Viterbo. He studied at the Latin school in Viterbo, possibly under Augustinian monks, and then by the age of eighteen he entered the Augustinian cloister in his hometown and professed the next year. In 1489, the order sent him to Amelia in Umbria to teach philosophy. 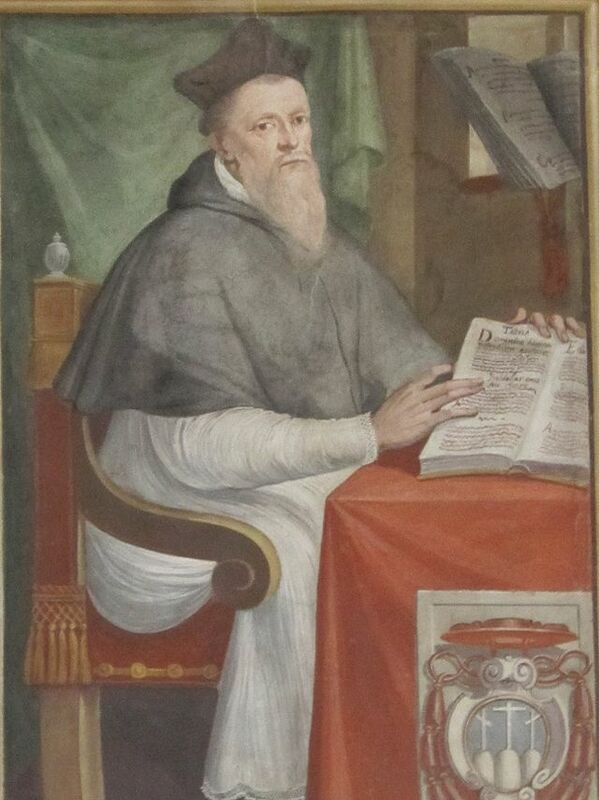 He would go on to study at Padua from 1490 until 1493 in the Augustinian studium generale at the college of Sts. Philip and James. While there, he published his first work—an edition of three treatises by Giles of Rome, the famous papal apologist of the early fourteenth century. The young friar would then spend a short, but influential period in Florence at the feet of the famous Renaissance Platonist, Marcilio Ficino, after which he left to lecture on theology at Capo d’Istria for two years. In 1497, Giles underwent examination for the magisterium in theology at Rome before being sent to Florence at the height of the Savonarola’s tenure there. With tensions high, however, he returned shortly thereafter to preach for Pope Alexander VI in Rome. In 1499, the fledgling humanist had another opportunity to immerse himself in the currents of Renaissance thought. He was sent to Naples, where he joined the circle surrounding the humanist Givonanni Pontano, the so-called Academia Pontaniana. Throughout this early phase of his career, Giles proved to be a committed humanist student of Plato, St. Augustine, and the Scriptures, but he also came to ply his humanist rhetorical savvy in service of preaching, which drew much attention—from the pope himself, no less. Giles’s career as an ecclesiastical would subsequently take a marked turn following his two year stay in Naples. He spent Lent of 1503 preaching at Siena, then took a summer sabbatical in nearby Lecceto, which happened to be home to a notable reformed congregation of the Augustinian order. It was there that Giles first joined the observant monastic reform movement. He would soon become an important figure in not only the reformed wing, but indeed throughout the entire Augustinian order when Pope Julius II named him vicar-general in 1506. A year later, he was nominated by his brothers to serve as prior general of the order, which he would do until January 1518—just as the protests of a young Augustinian professor in Wittenberg began reaching Rome. During his time as prior general, Giles sought to reform the order in numerous ways. He attempted to resolve conflicts between conventuals and observants, such as the imbroglio that led Luther to Rome in 1512. He emphasized a more rigorous common life amongst the brothers and a commitment to ongoing study. He also took an active role in pursuing these reforms through personal visitations, monthly reports from chapters, and rigorous discipline of monastic superiors. Beyond the Augustinian order, Giles also participated in the attempts to reform the church more broadly. As a humanist orator of the first rank, he was called upon to deliver a sermon at the opening of the Fifth Lateran Council on May 3, 1512. In classic humanist fashion, he argued against strictly legislating reform and suggested that instead reform comes about first personally and spiritually: “men must be changed by religion, not religion by men.” Once his tenure as prior general of the Augustinians came to an end, Giles found himself named cardinal in 1517 and was later named bishop of Viterbo in 1523. He would also serve as a papal agent to emperor Maximillian in 1515 and a papal legate to Spain in 1523, and was a favored candidate for the papacy in 1521, but the conclave instead chose another reform-minded candidate, Hadrian VI. Despite obvious frustrations with the failure of reform in his day, Giles nonetheless remained a steadfast supporter of the papacy, and in May 1527 he led a contingent of two-thousand soldiers to free Pope Clement VII from the imperial troops who had had imprisoned him in the Castel Sant’Angelo after sacking Rome earlier that year. Beyond his monastic and ecclesiastical affairs, Giles was a tireless advocate for Renaissance intellectual life. In 1516, he interceded on behalf of Johannes Reuchlin, the German humanist attacked by Dominicans for his study of the Jewish Kabbalah. Giles also became a notable patron of Elijah Levitah, the Renaissance Hebrew scholar who had taught him Hebrew. While Giles himself did not publish widely in his lifetime, he remained active in study all his years. He wrote Latin and Italian poetry, he edited philosophical works, he drafted a Platonic commentary on Peter Lombard’s Sentences, he composed a survey of Christian history revolving around ideas he had drawn from the Kabbalah itself, he studied rabbinical literature, and he had a working knowledge of, amongst other languages, Arabic. An eminent intellectual and patron of Renaissance learning, Giles would nonetheless spend his final years in relative anonymity before dying on November 12, 1532.